Dan Germain (above) tells Alice Ross why the savviest creatives produce an overarching story for brands that lets customers tell their own around it. Hughes is explaining how Wolff Olins, the agency that rebrands entire countries, is adapting its approach to branding for a faster, more connected world. And to help, it’s drafted in a visiting creative director, Dan Germain of quirky fruit juice brand Innocent, who will be looking at Wolff Olins’ projects with a special focus on storytelling. Stories around brands evolve organically, Dan says, and the savviest are those that can harness this to their advantage. Embracing this means offering people multiple ways to engage with brands or clients on a richer, more human level. 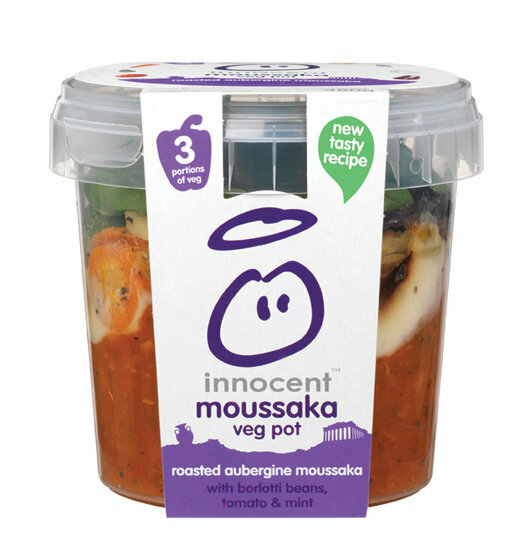 “The principle I have at Innocent is if you want to create stories for people, you have to give them quite a few things to hang onto. In trying to figure out all the different ways people can receive a story, we do lots of small stuff and see which bits stick, which bits stay with people,” explains Dan. And these days the scope for “lots of small stuff” is endless. Some of the most successful projects for this more fragmented, multimedia age invite people to share their own stories, feeding something of themselves into the brand or cause. Obama’s 2008 campaign is a prime example of this, Owen says. “They had a few messages they seeded at the top and they gave their supporters iPhone apps, tools and a wide range of tasks and places where they could build those little nuggets of messages into bigger stories together, and take them and spread the word,” he adds. “All it really reduces down to is what’s worth telling other people, what’s the nugget,” explains Dan. Identifying this nugget is where the magic touch lies: it demands that creatives engage with brands or clients on a richer, more human level. “I don’t think it’s as definable as saying a story’s always going to be about the product. It could be about the mission or the people,” he continues. It often means finding “the little moment that lies at the heart of the business”, he says – often by returning to an outfit’s roots. “If you’re an entrepreneurial start-up you’ve got to have a founders’ myth,” says Dan. When done well, this becomes integral to the company, no matter how large it gets. “Look at Ben & Jerry’s – [in the myth] they’re making ice cream in the shed, and they’re hippies and they’ve got big beards, and I quite like them because of that,” he adds. Once you’ve got these bare bones of a story, they can be used to inform everything that follows, he adds – allowing for the kind of agile advertising that responds directly to events and can spread virally on social media. “You need to find smart ways of getting your message out... to respond in a way that’s smart and storyworthy,” says Hughes. In a great example of this, a team from agency 360i scored an unexpected coup at one of the pinnacles of the advertising calendar. Brands spend millions on their Super Bowl campaigns, but Oreos won the night with a simple tweet. 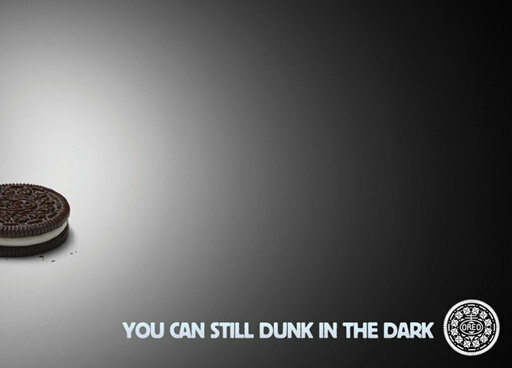 As the match was plunged into darkness by an unexpected power cut, the agency tweeted a poster with a photo of an Oreo and the slogan, ‘You can still dunk in the dark’. It was an instant hit, receiving 10,000 retweets in an hour, according to Ad Age. This kind of runaway success could never have happened under the more rigid model of traditional branding: instead, it reflects a branding where the company’s story and ethos is defined, and creatives then have the space to riff. “If you’re a business or a brand, don’t try and prescribe to your people what they should be saying – if you give them a little bit of latitude you’ve got the scope” for moments of responsive branding, Owen argues. And it’s these unexpected moments, each little stories in their own right, that can elevate an identity from one that’s merely recognised to one that’s “going to make people talk about it, love it, share it – all those magical things,” enthuses Germain. 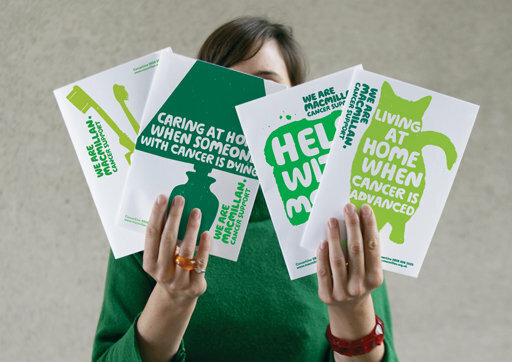 For cancer charity Macmillan, Wolff Olins chose to create the tools for people to tell their own stories of cancer. 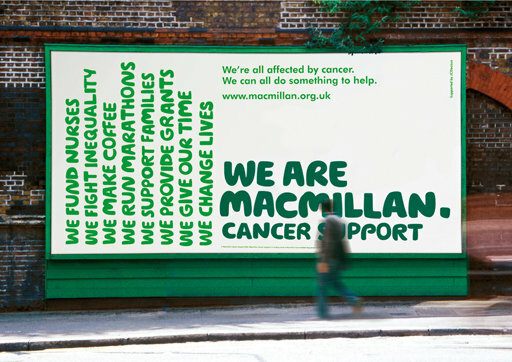 “The ‘We’ in ‘We are Macmillan Cancer Support’ is all of us – ordinary people supporting each other. So the challenge was to turn the spotlight on real people’s stories, not an organisation talking down to you. That’s why we helped Macmillan launch its online community where people can share their own experiences of living with cancer,” explains Owen. 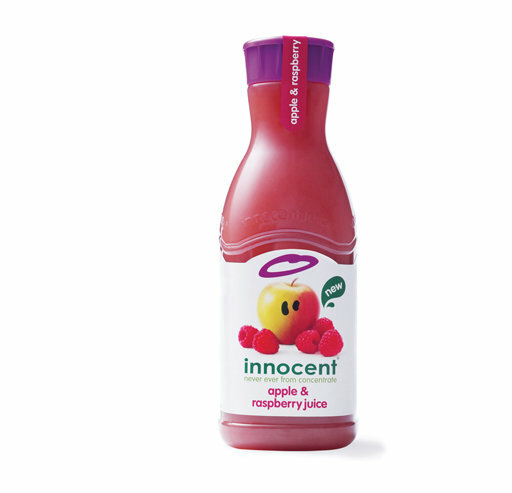 Innocent’s own founders’ myth has played a key role in giving the company a reputation as approachable, honest and friendly, but serendipity also plays a role. 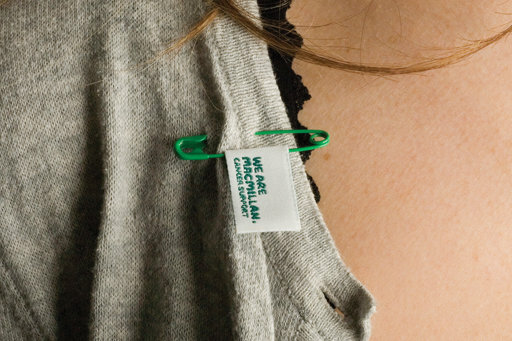 “We never decided that we wanted people to talk about the packaging... In the beginning, we just had a gap on the label that we didn’t know what to do with, so we filled it with words and we noticed people were talking about it,” recalls Dan.